Courtesy cloud and Internet of Things, big data is gaining prominence and recognition worldwide. Large chunks of data are being stored in robust platforms such as Hadoop. As a result, much-hyped data frameworks are clouted with ML-powered technologies to discover interesting patterns from the given datasets. 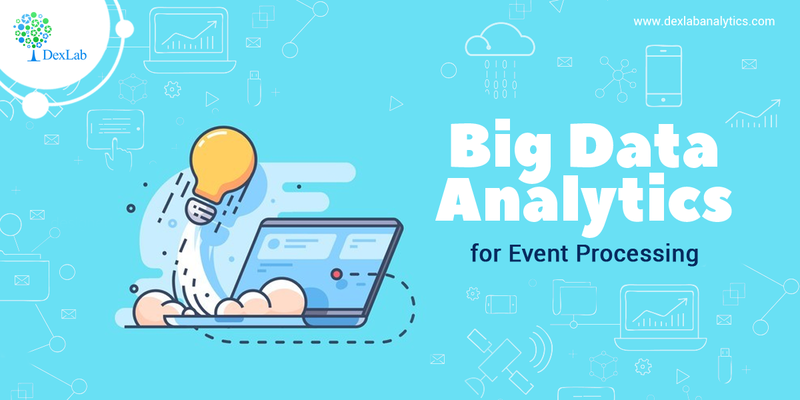 In simple terms, event processing is a typical practice of tracking and analyzing a steady stream of data about events to derive relevant insights about the events taking place real time in the real world. However, the process is not as easy as it sounds; transforming the insights and patterns quickly into meaningful actions while hatching operational market data in real time is no mean feat. The whole process is known as ‘fast data approach’ and it works by embedding patterns, which are panned out from previous data analysis into the future transactions that take place real time. Developing the Model – The companies ask the data scientists to construct a comprehensive predictive model and in the process can use different types of ML algorithms along with different approaches to fulfill the purpose. Validating the Model – It is important to validate a model to check if it is working in the desired manner. At times, coordinating with new data inputs can give a tough time to the data scientists. After validation, the model has to further meet the improvement standards to deploy real-time event processing. Ideal for batch and streaming data, Apache Spark is an open-source parallel processing framework. It is simple, easy to use and is ideal for machine learning as it supports cluster-computing framework. If you are looking for an open-source batch processing framework then Hadoop is the best you can get. It not only supports distributed processing of large scale data sets across different clusters of computers with a single programming model but also boasts of an incredibly versatile library. Apache Storm is a cutting edge open source, big data processing framework that supports real-time as well as distributed stream processing. It makes it fairly easy to steadily process unbounded streams of data working on real-time. IBM Infosphere Streams is a highly-functional platform that facilitates the development and execution of applications that channels information in data streams. It also boosts the process of data analysis and improves the overall speed of business decision-making and insight drawing. If you are interested in reading more such blogs, you must follow us at DexLab Analytics. We are the most reputed big data training center in Delhi NCR. In case, if you have any query regarding big data or Machine Learning using Python, feel free to reach us anytime.